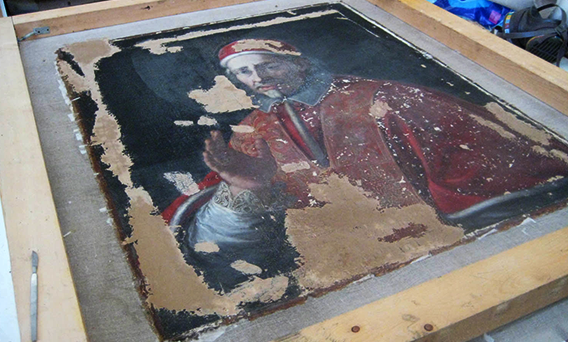 Art Treasures - Heritage Saved - Restorations funded by PwC, Malta. 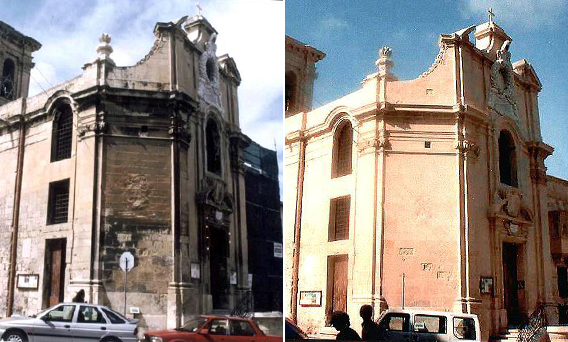 In 2000 Din l-Art Ħelwa undertook to save the building fabric of Valletta's first church together with the Valletta Rehabilitation Committee. The restoration was funded by PwC. 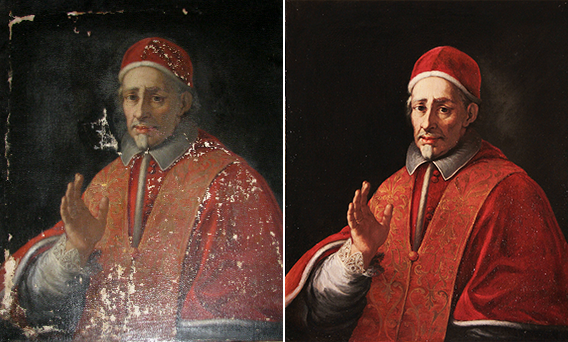 One of the many treasures of the church: the 18th Century Painting on canvas of Pope Innocent XII, Antonio Pignatelli before and after restoration - sponsored by PwC. 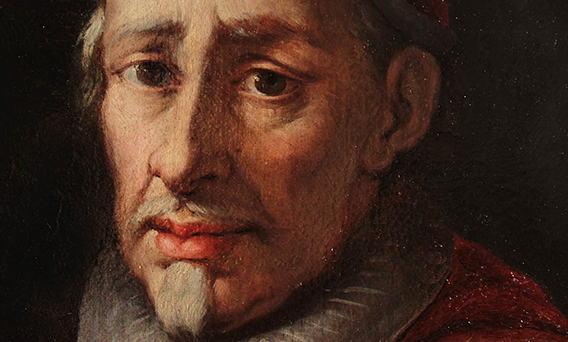 The painting undergoing conservation at PreVarti Ltd.
Up close and personal, the face of Pope Innocent XII, after restoration.